For most parents-to-be, the unwritten rule is to keep pregnancy top secret for the first 12 weeks. Wait until it’s “safe”, we’re told. But there’s good reason to rethink that societal norm. After two devastating miscarriages in as many months, Sydney woman Felicity Frankish desperately wanted to talk about her and other women’s losses. Felicity had told friends and family of her first pregnancy at nine weeks, deciding to ignore the tradition of waiting until the end of the first trimester. And she’s so glad she did. 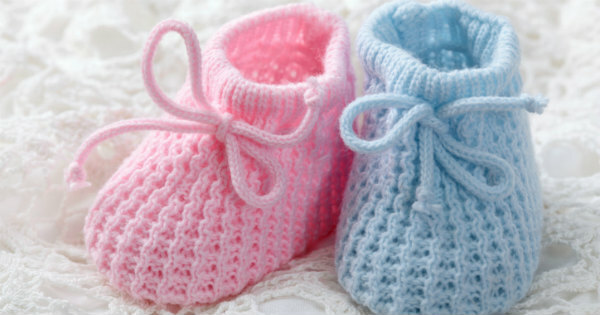 “It made going through the miscarriage so much easier,” she says. “Friends came over with fruit baskets, work understood, they sent flowers and allowed me the time off, didn’t question it. If I hadn’t told anyone, I would feel really lonely. Felicity joined a supportive online miscarriage forum, but found no one was really sharing stories of early miscarriage. Discussion and information websites centre more around later pregnancy or infant loss, she says. She started asking other women on the forum whether they’d be interested in telling their stories, and they “jumped at it”. So set up a website, Let’s Talk About Miscarriage, and a Facebook page for women to share stories of one or multiple miscarriages, and to support each other through losses. Miscarriage, pregnancy and newborn loss support group Sands says about one in six pregnancies is unsuccessful, though miscarriage figures are hard to establish as they are often not reported or women don’t know they are having one. The vast majority happen in the first trimester. Sands Victoria network co-ordinator Anne Bowers says women and their partners need all the support they can get after a miscarriage, so it’s good to tell people about the pregnancy early. “If something does happen, people have shared in the happy news and they’re there to support you if you have bad news to tell them,” she says. But because miscarriage has long been kept private, people aren’t used to talking about it – so their reactions can be bemusing. “The loss can be quite minimised when it’s a miscarriage because a lot of people are thinking it’s not really a baby, the parents are not really attached,” Anne says. “But you get attached from the day you get your positive result back, you can’t help it. She says finding someone who will really listen without judgment or commentary, whether it’s a friend, support group, helpline or online forum, is vital. “If it’s a blog and you have other people with similar stories at least you realise you’re not by yourself, because you can feel isolated even thought you know it can happen to other people,” she says. Felicity is inviting more women to share their stories of miscarriage on her website and to join her Let’s Talk About Miscarriage Facebook support page. Stories on the website are divided into women who have suffered one, two or more than three miscarriages. Did you wait 12 weeks to announce your pregnancy? Would you consider doing it sooner? Tell us below.